The EUR/USD currency pair is forming another ascending structure. The whole structure looks like an expanded five-wave pattern. 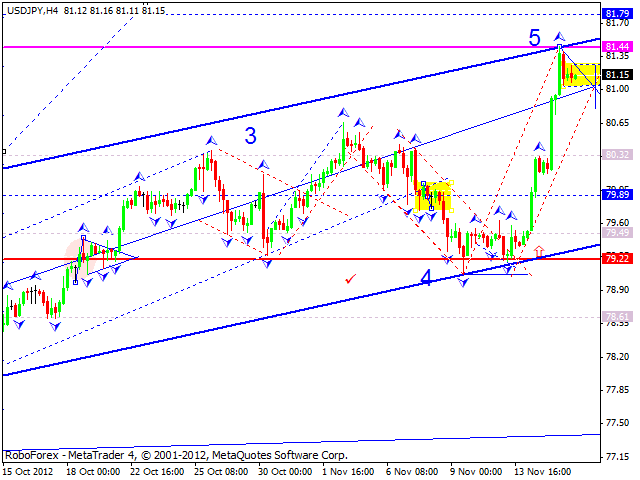 Today the market is expected to correct this five-wave structure; it has already formed the first descending impulse. 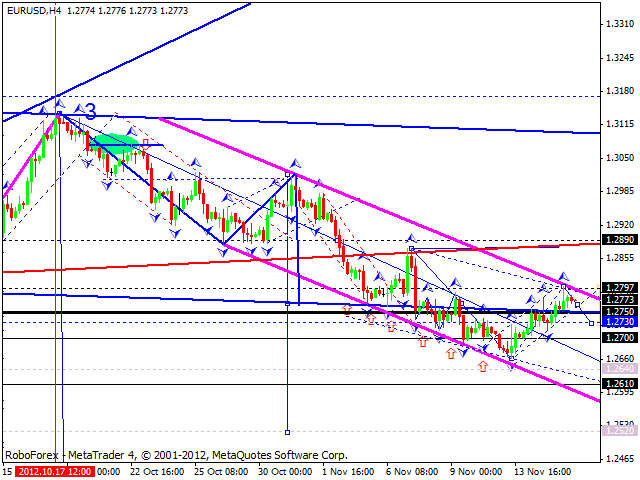 Later the pair may break an ascending channel and reach the target at 1.2730, at least. The structure of this correction will help the market define the future scenario: to continue growing up or start a new descending trend. 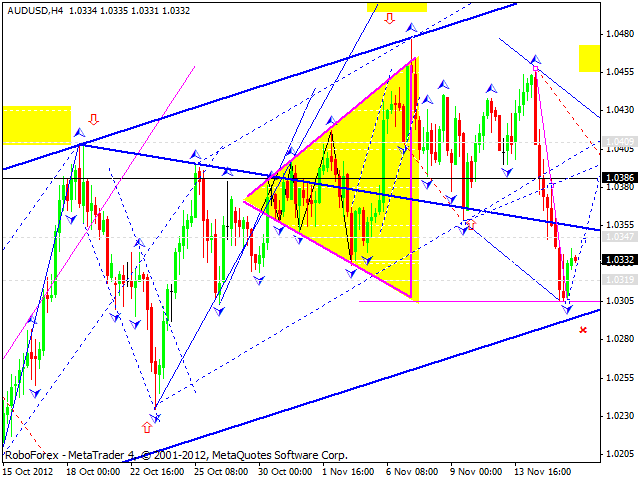 The GBP/USD currency pair continues moving downwards inside the fifth wave. We can see that the price is forming one more descending structure and another part of a correction. 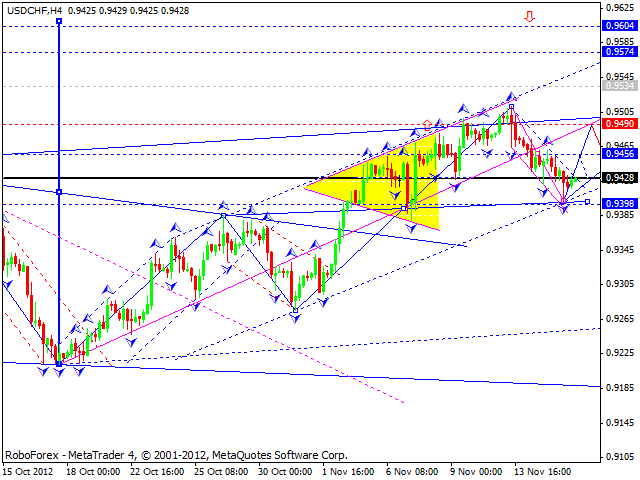 The target of the wave is at 1.5790. 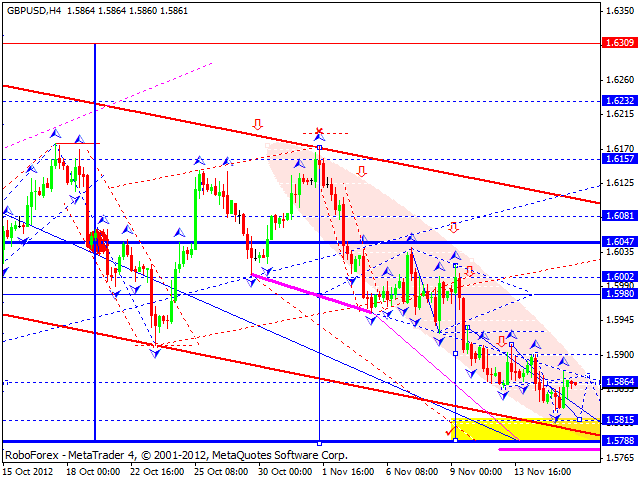 The USD/CHF currency pair is still moving inside a descending corrective channel. The whole structure looks like a five-wave pattern, it reached its targets. Today the price is expected to form the first ascending impulse, correct it, and then continue growing up. The target is at 0.9570. The USD/JPY currency pair reached the target of this ascending wave earlier than expected, which means that after a technical correction the wave will continue moving upwards. 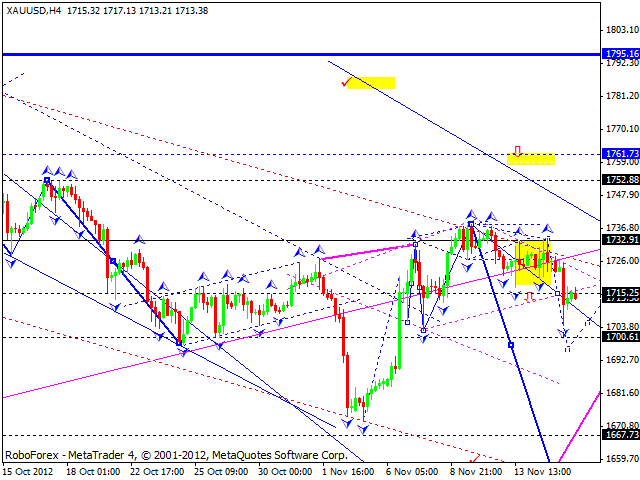 Today the price is expected to start this corrective structure with a predicted target at 79.30. Australian Dollar reached the targets of the fall. Today the pair is expected to form the first ascending structure. The form of this structure will help the market define the future scenario: to continue growing up or start a new corrective movement. The target of the growth is at 1.0385. Gold continues falling down towards the target defined earlier. Today the price is forming the third wave. The structure of the movement indicates that the target at 1700 will be reached. Later we can expect a technical correction and test of 1715 from below, and then the instrument may continue falling down towards the next target at 1690.